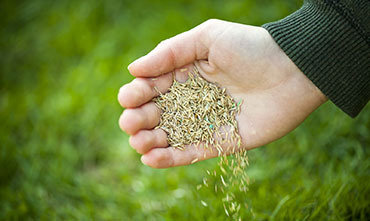 To find out more about our weekly or monthly lawn and landscape care, please see our Lawn Care Programs. There are several options available to fit your property and your budget. 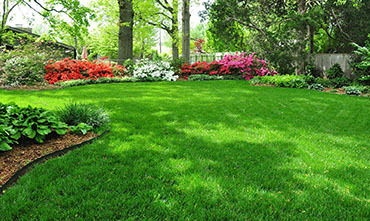 We've provided clients with quality, dependable lawn care and landscape maintenance for over 15 years. We're confident we can find a solution to fit your needs. A general one time clean up is a great way to have us help you get your property into shape for the Spring and Summer seasons. Typically we will mow, edge, fertilize the lawn, clean out all of your planting beds, trim all of your ornamental shrubs/hedges, and spread a fresh layer of bark mulch or compost over the beds for a clean and finished look. 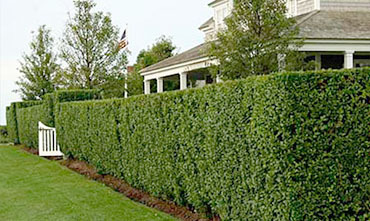 We can trim and prune everything from the smallest shrubs to the largest trees. 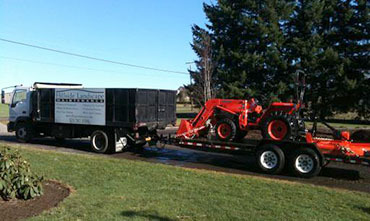 After we take care of all the trimming work, we clean and haul away all of the debris so the project is complete, the site is clean, and you won't have to touch a thing. We are also happy to add some of the clippings to your compost pile if you maintain one on the property. 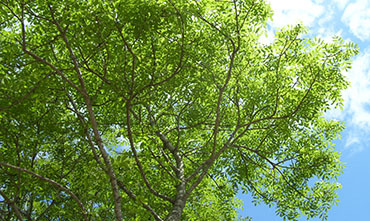 Resurrection Lawn Care handles all of our larger tree projects including: dangerous removals, specialty pruning, dead wood removal from canopies, and clearance trimming. If you have an empty lot that has become overgrown or you have received a notice from the City to get it cut down we can help! Contact us and we will have an estimator out to the site. We will quickly email you a written estimate outlining the cost and options for ongoing maintenance. We also offer small ornamental tree pruning, plant bed weeding and clean out, pressure washing, gutter cleaning, lawn de-thatching, seeding, and aeration, lime, bark dust, compost, and gravel/rock application, one-time clean up projects, and fertilizing with all natural fertilizers. 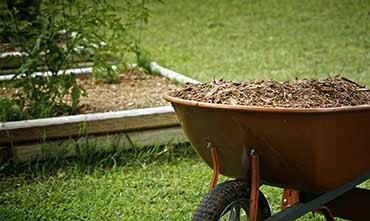 After bed areas have been cleaned, we are happy to deliver and spread bark mulch, nuggets, compost, or decorative rock products. 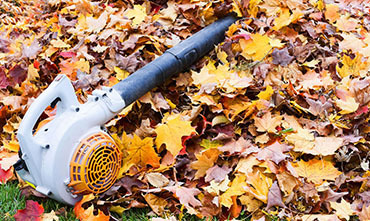 We do offer leaf clean up at our per man per hour rate. Please email our office for specific pricing information. 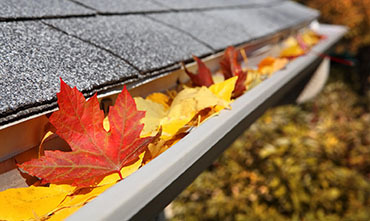 Gutter Cleaning Starting at $150. Most 1-2 story home costs are between $150-$250. We are unable to service tile or concrete shingle roofs, sorry for any inconvenience. Includes full roof blow off of loose debris, all gutters cleaned of debris, downspouts cleaned/checked to make sure they are free of debris, all associated debris cleaned up and hauled away, and 30-day guarantee against clogs and overflow. Copyright © 2017 Resurrection Lawn Care Co. All Rights Reserved.